“When I remember Russia, I ache with longing for the village of my birth, where the beloved grandparents magically produced candy in a handshake and told stories of long ago when God spoke to humans and enchantments filled the world.” So begins Amy Wachspress’s historical novel, spanning 70 years and five continents, Memories from Cherry Harvest. Two Jewish sisters, born in Russia shortly before the Communist Revolution, are forced to flee the pogroms and persecution and travel with their parents to British-occupied Palestine. The girls’ parents befriend a widower with two children and join forces, creating a blended family. When the girls are teenagers, World War II tears the family apart, sending the girls separately to France and America. Their lives unfold in tandem: babies are born, friendships forged, and cherry pies baked, despite the brutal backdrop of the Holocaust. The family grows into the next generation, with one of the daughters, an artist drawn to a bohemian lifestyle, who surrounds herself with a multicultural, colorful circle of friends the likes of which her ancestors could not have imagined. Subsequently, the artist’s daughter is even more evolved and attuned to the world’s unfair oppressions. She turns her passion to providing aid to Salvadoran refugees fleeing the torture and death squads in their homeland, just as her own grandmother once fled the pogroms of Russia. As she follows her vocation of reversing the damage that torturers inflict on their victims, she must overcome a past-life trauma that haunts her very core. 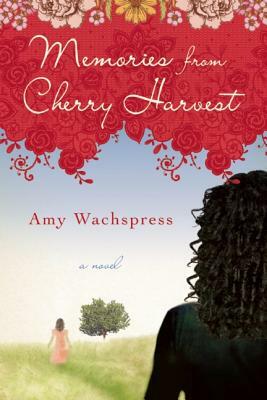 Memories from Cherry Harvest explores the physics of memory, and shows how the tenacity of good can ultimately withstand and overcome the memory of tragedy. Amy is one of the hidden treasures in the world of writing. 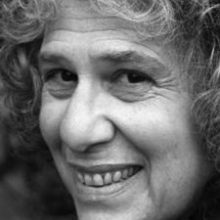 She is a natural born storyteller with a burning belief in how stories can transform us and make for a better world. Like Julia Alvarez’s In the Time of the Butterflies and Doris Lessing’s Martha Quest novels, this story about fighting the injustices of the 20th century will engage readers of politically charged fiction. AMY WACHSPRESS has an MA in English Language and Literature and has raised more than $100 million in funds as a grant writer for projects in more than twenty-five states. She is the author of the award-winning children’s fantasy adventure The Call to Shakabaz. She lives in Ukiah, California.